Each sparkling Swarkovski crystal is set by hand by Eme’s mom and translated to Braille Code, which is how Eme reads. Our beautiful Braille Ornaments are topped with hand twisted bows made with lots of LOVE by Eme’s grandma & adorned with tags made by her brothers & sisters. 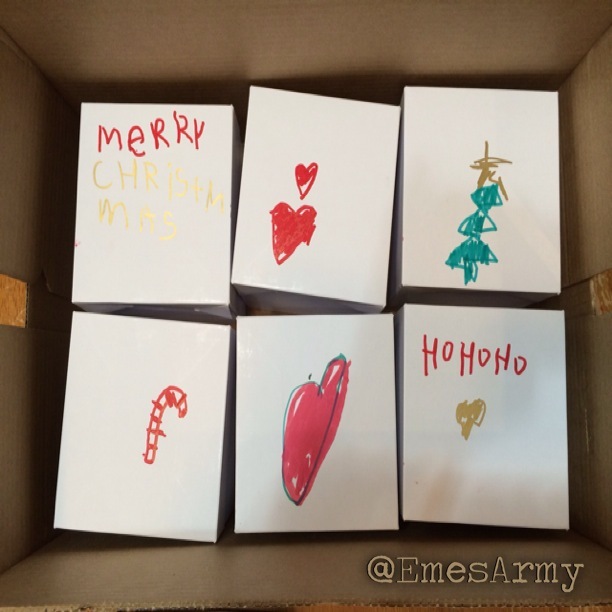 As a special gift to you, each Braille Ornament is packaged in an original keepsake box that is decorated by our little artist Eme! You can purchase pre-made Braille Ornaments or specific colors of bows & glass balls can be mixed & matched to your color preferences from our Etsy site! 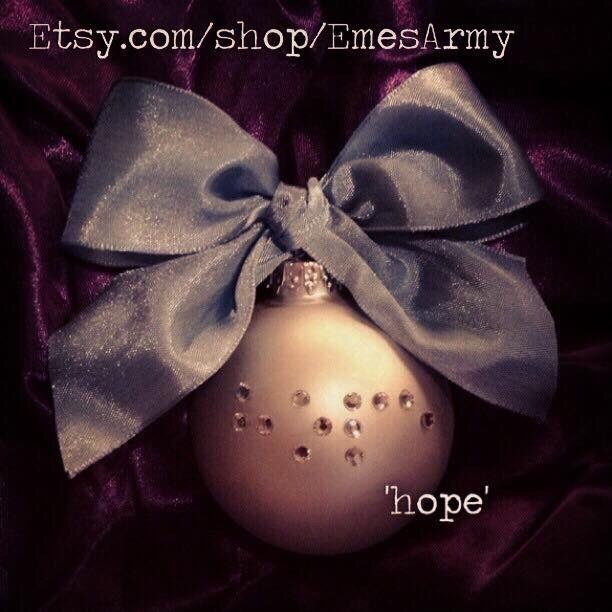 Go check out our “peace” “hope” “love” & other ornaments! Team names & family names make GREAT GIFTS!! or through this page if you have any questions.